All too often life throws us curve balls or we end up on autopilot ready to implode. We find ourselves burying our feelings just to keep everyone and everything around us afloat. Is it time to start to release some of the pressure and get to know yourself again? With the help of this book, you can start to remember the real you and unlock the emotions you have held too closely all this time. By acknowledging and then embracing these feelings, you will gain confidence in yourself knowing the smiles, hurt, and anger are all part of what makes you the special individual you are today. 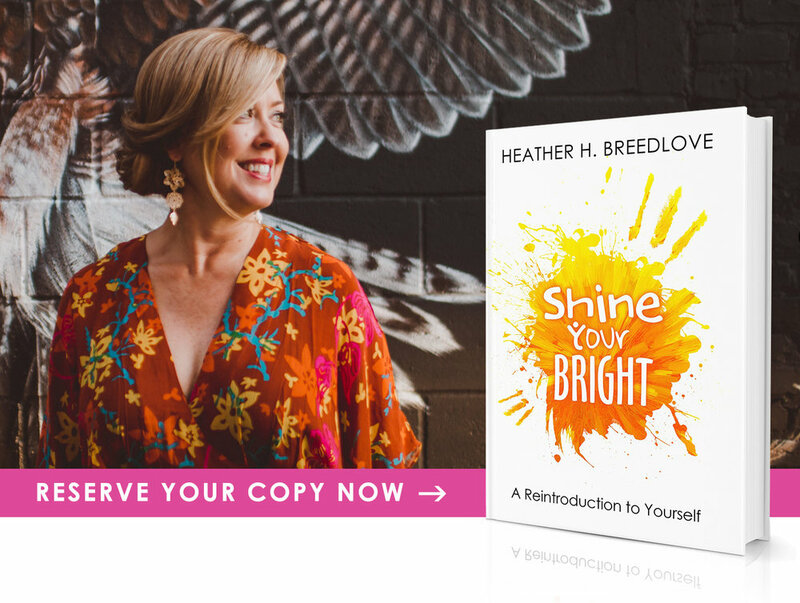 Please take this book as an invitation to reintroduce yourself to you and SHINE YOUR BRIGHT. Like so many of us, Heather grew up striving for the perfect life – a fairy tale romance and a successful career. While working her way through the checklist of accomplishments, she found a disconnect. The person she was at home was not the person she was at work, nor even the person she IS. She was playing the role rather than participating in the life. She has found excitement in bringing her full self to every aspect of her life. Through, Shine Your Bright, she hopes you find the peace and courage to do the same.